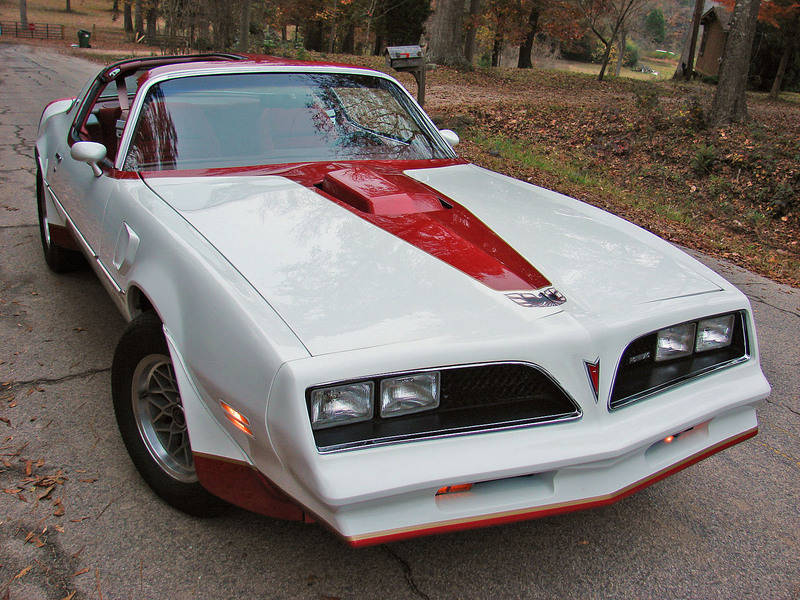 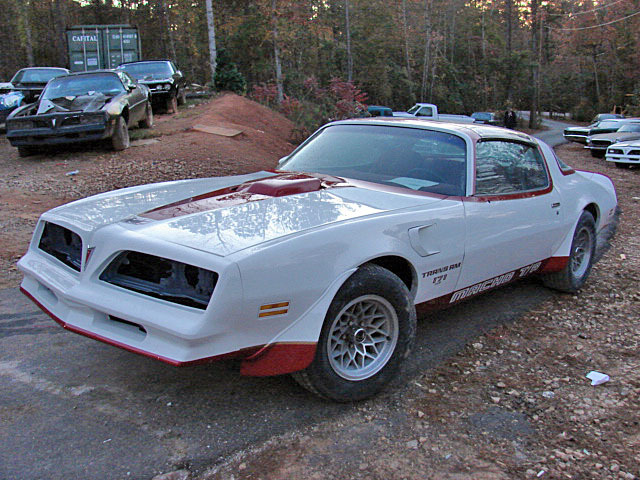 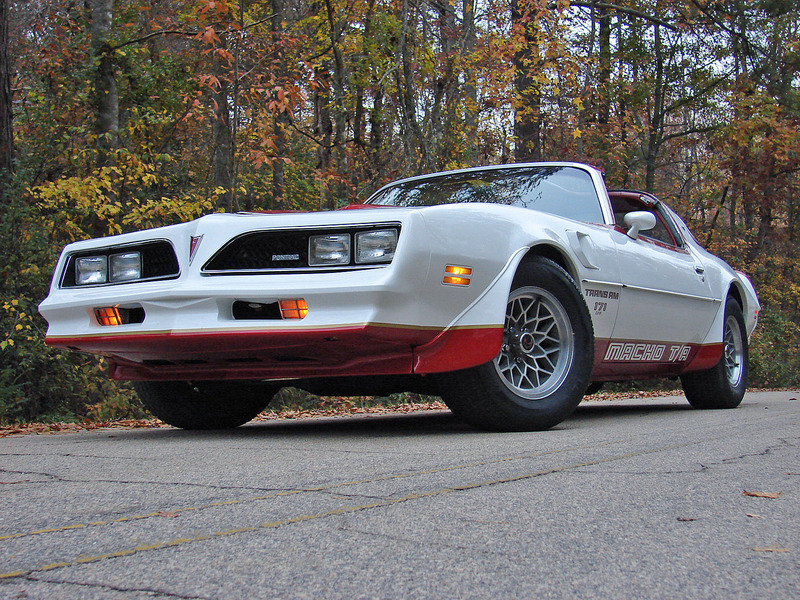 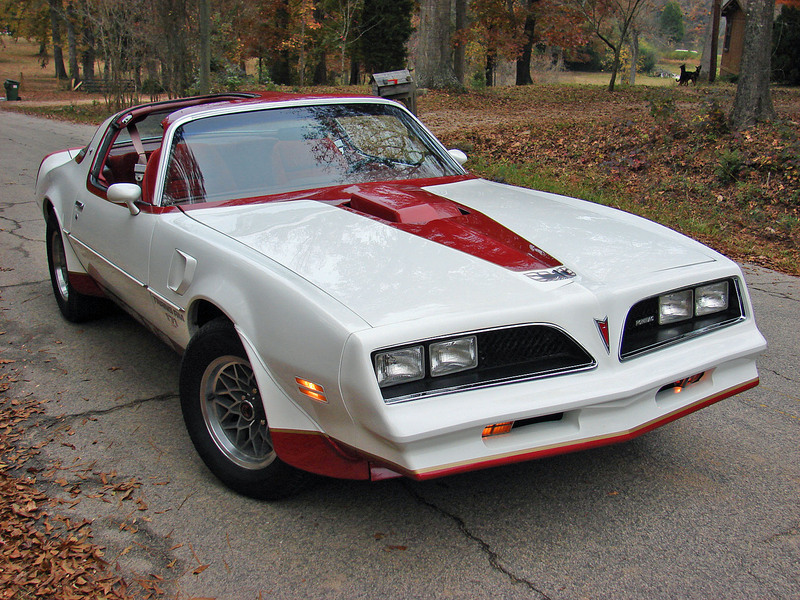 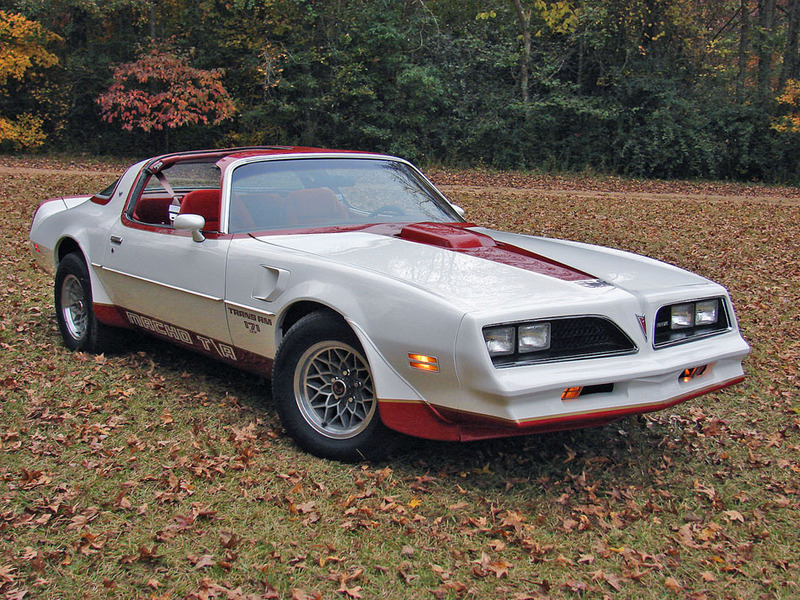 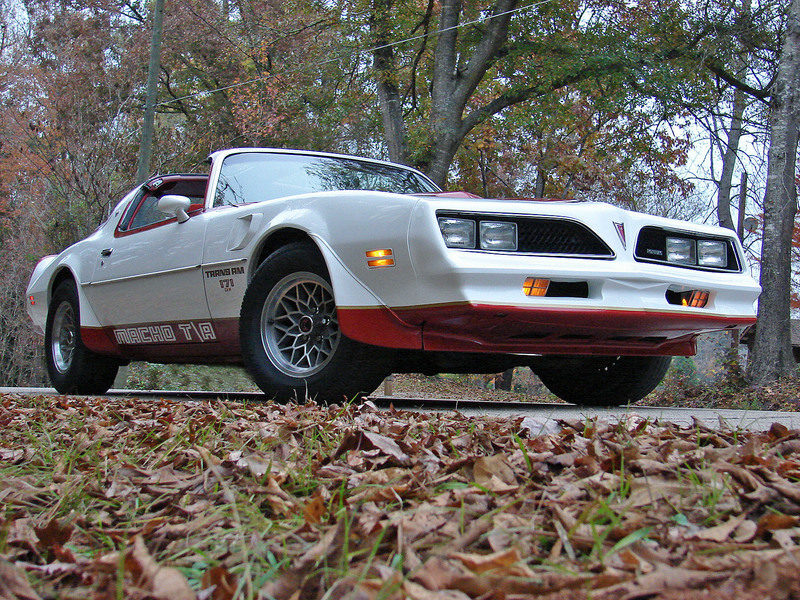 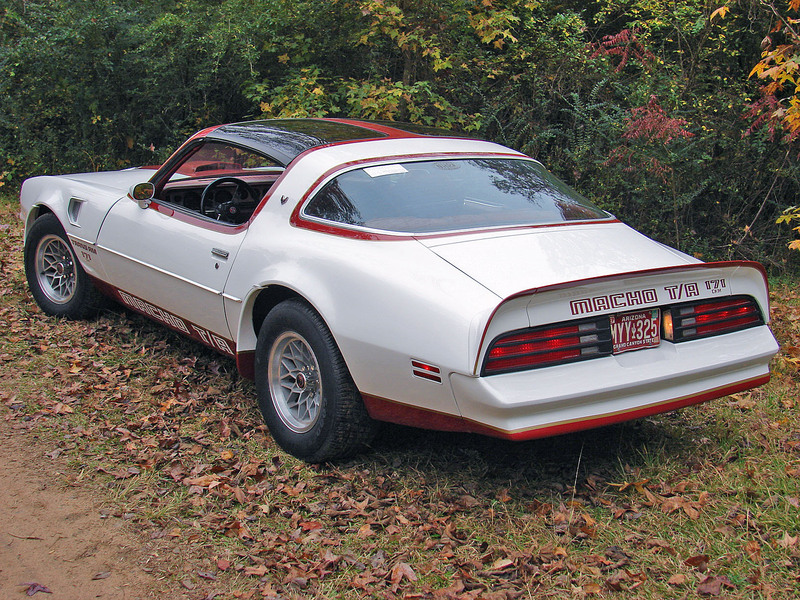 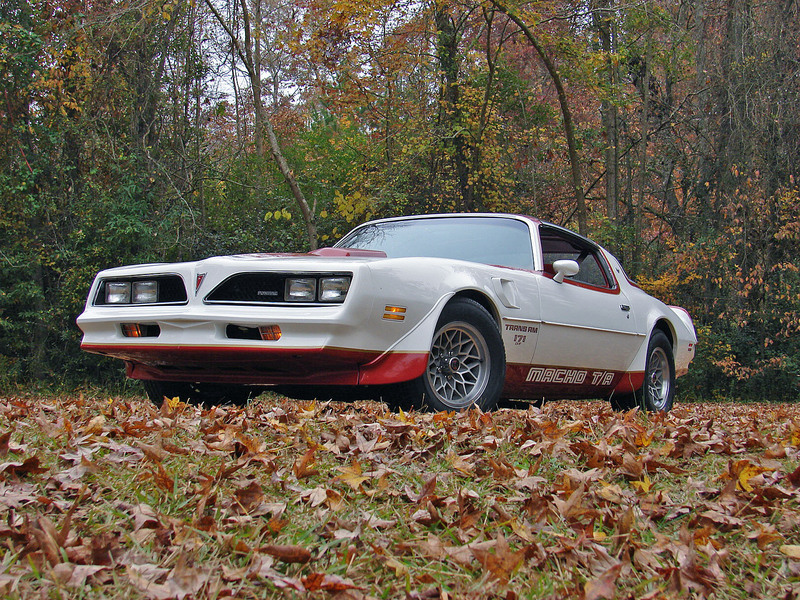 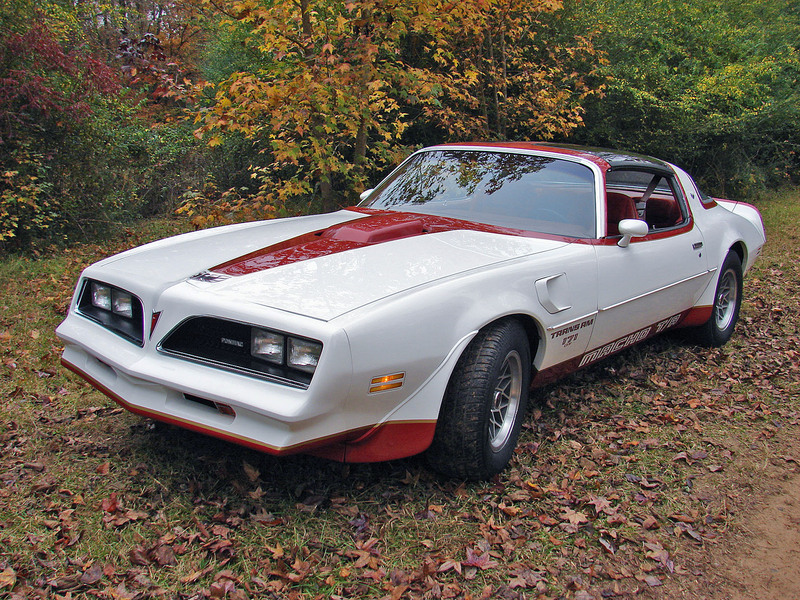 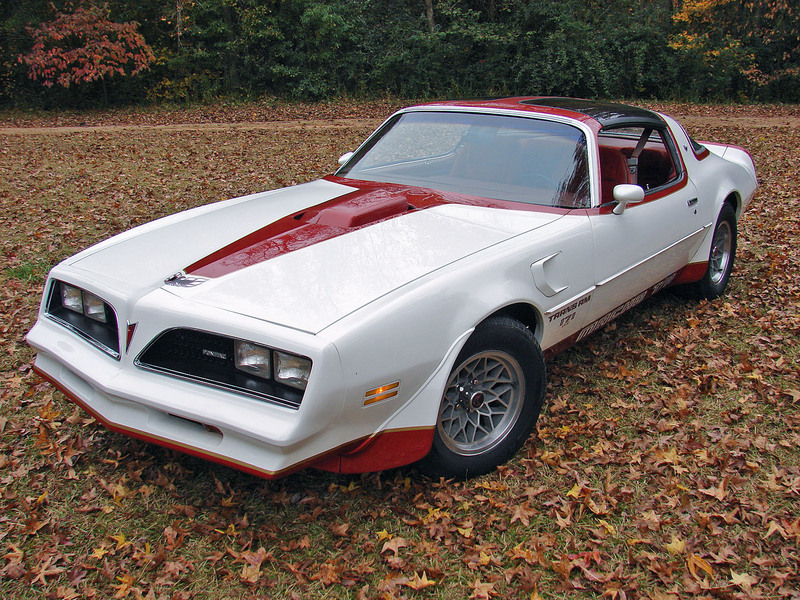 1978 Pontiac Macho Trans Am # 171, "This is a well documented matching numbers car with only 71,000 original miles. 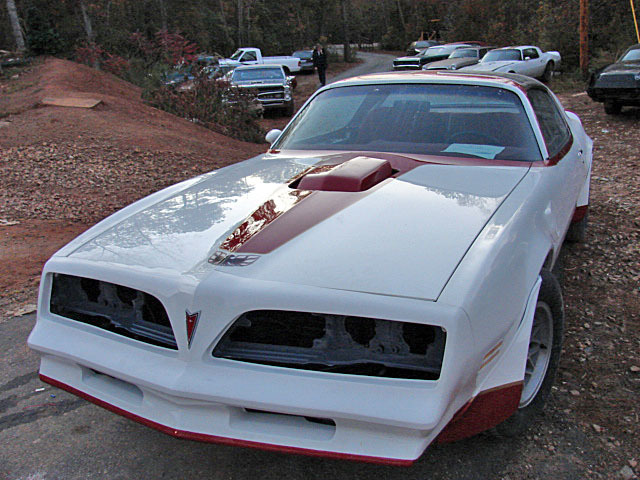 Color combo is white with red accents and interior. 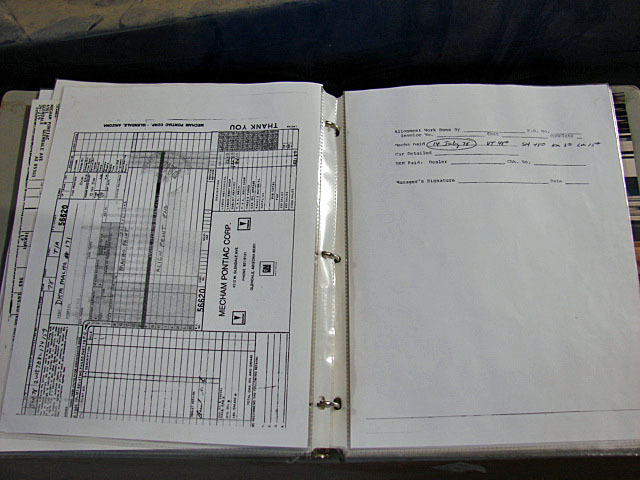 Options include PS, PB, AC, PW, PL, PT. 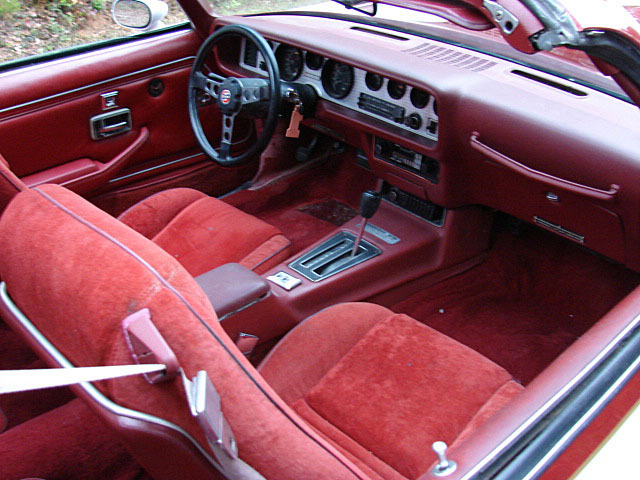 WS6, rear defrost, Tilt, Deluxe velour interior, Fisher t-tops. 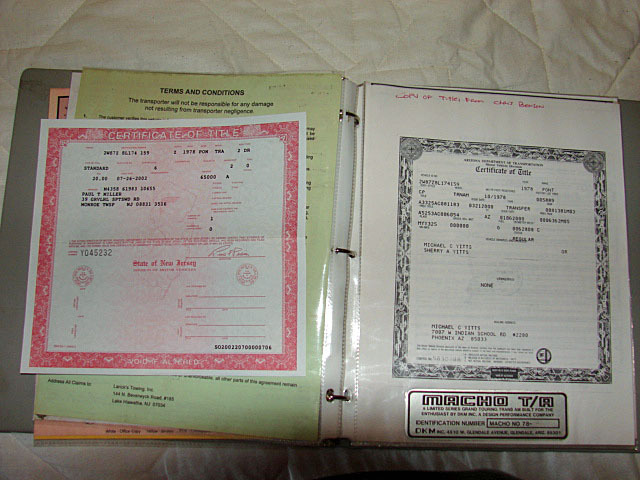 Documented with PHS, build sheet, copies of old titles, Mecham Pontiac records and receipts. 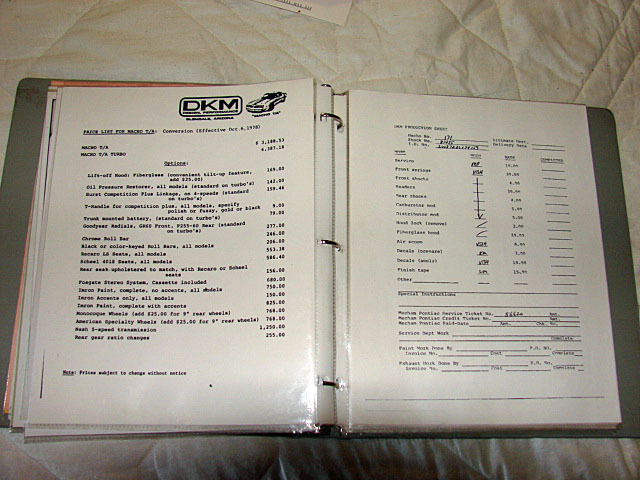 Car still has its original DKM installed headers, shaker, console plate, h-pipe, converters, and most exhaust. 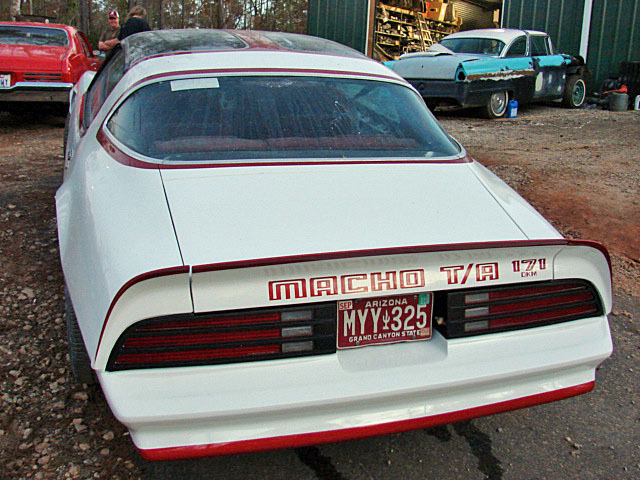 This car is unusual as it is one of only a few (3 known) in '78 to have the roof painted in its accent color (similar to an RS Camaro) instead of the typical stripes just around the windows, (other known cars with painted roofs are #173 and #178); also rare are the fisher T-Tops as Mecham preferred a hardtop car.. 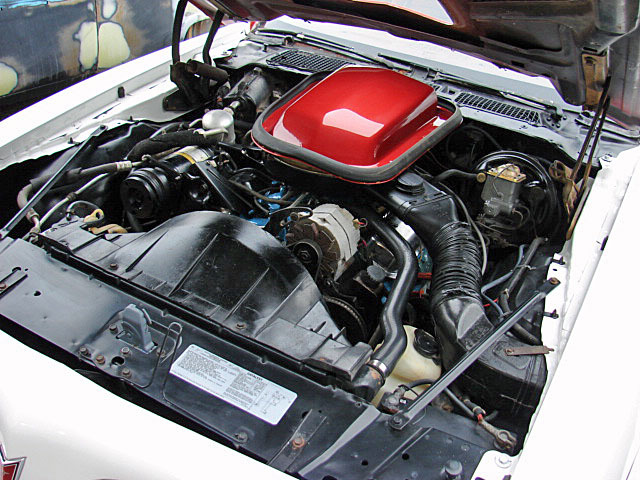 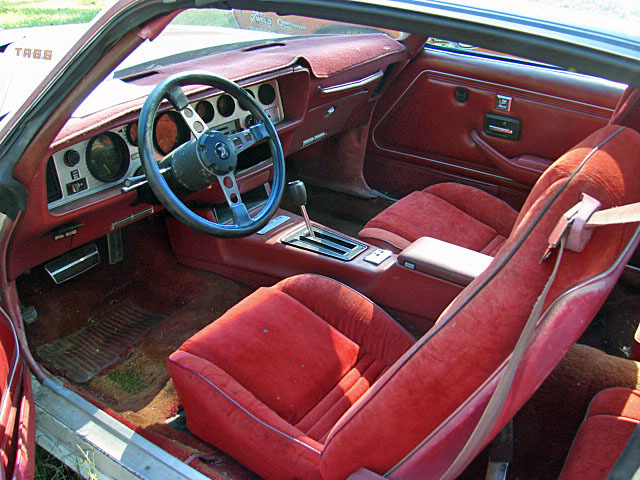 While most cars used Carmine as an accent color, original accent color on this car was Firethorn red. 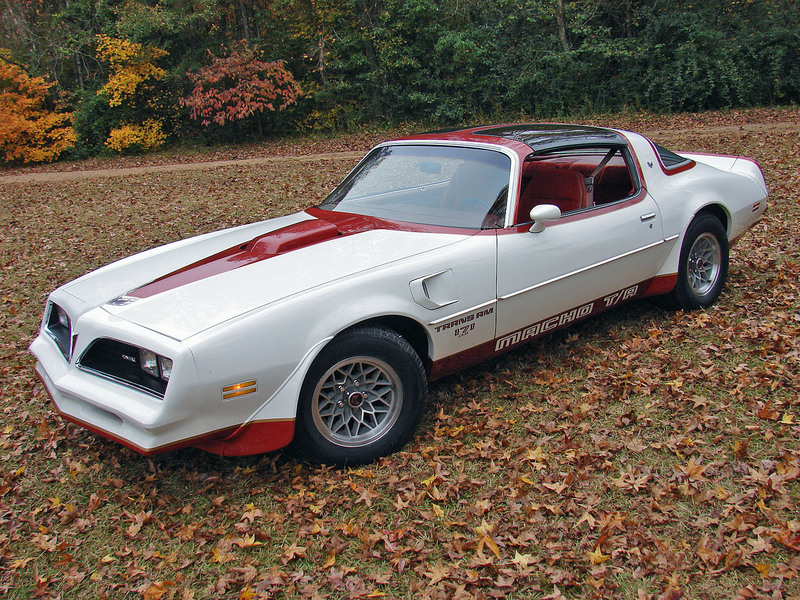 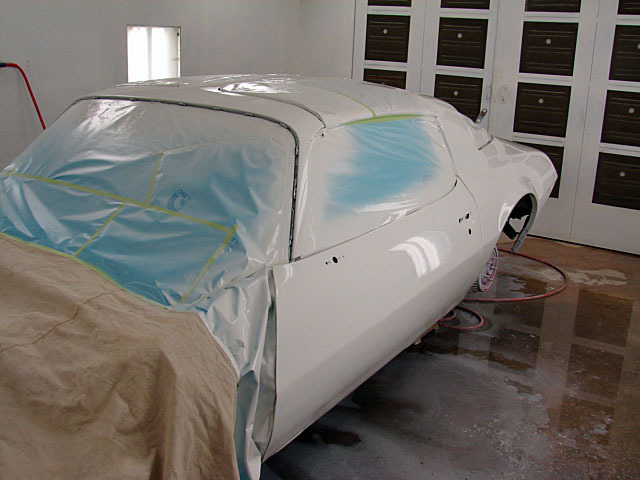 This car appears to be the same color combo as the car featured in the October issue of Hemmings Muscle Machines. 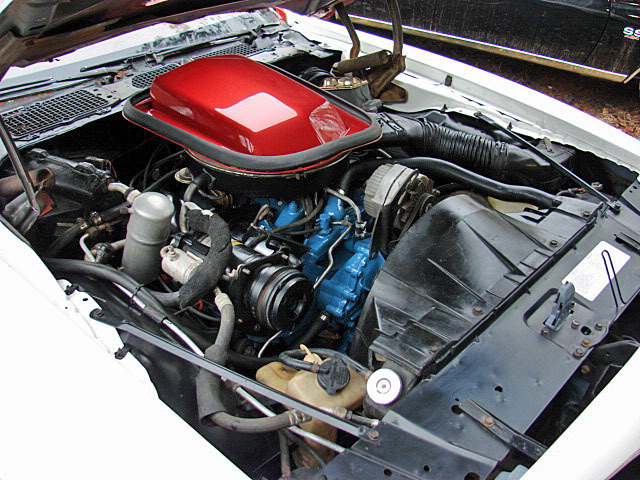 Engine in this car is the numbers matching original engine as installed by Pontiac and appears to have never been out or apart. 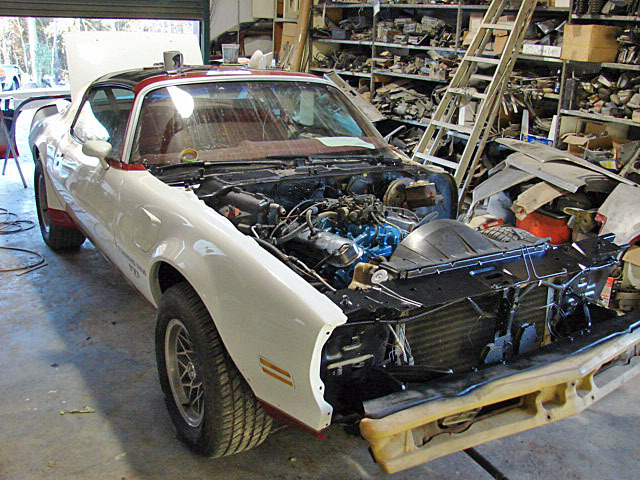 Other matching parts include the carb, distributor, etc... 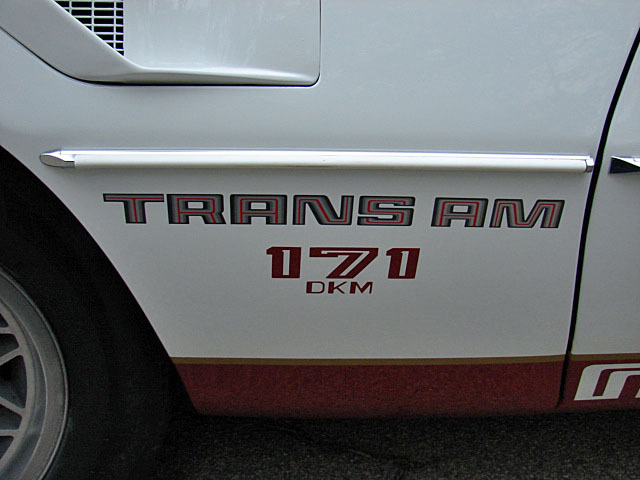 Car runs great, has good power, trans shifts crisp and firm, car drives well. 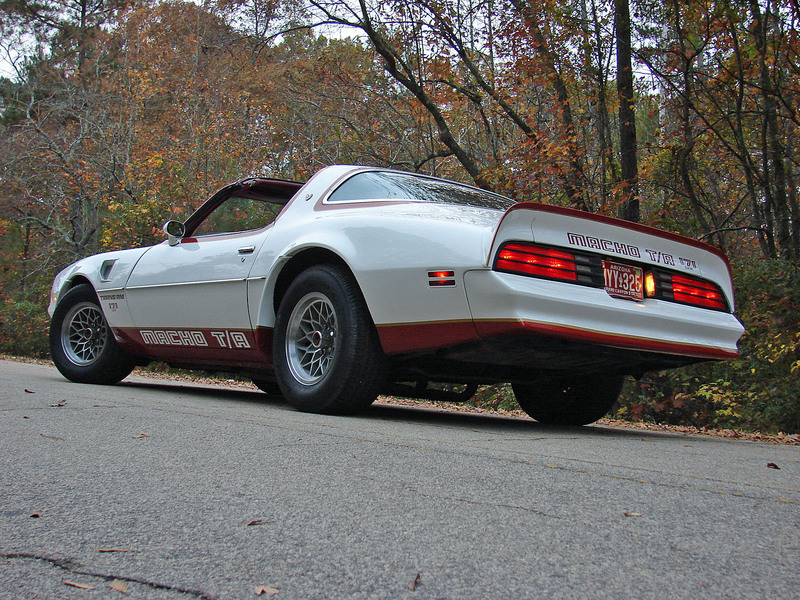 This cars runs and drives as Dennis Mecham intended, it spins tires at will and car runs easily up to speed as a performance car should. 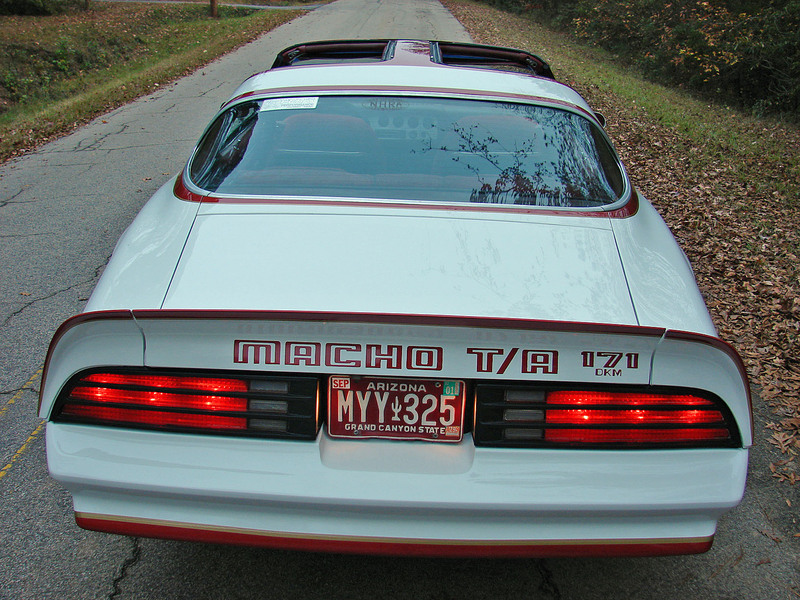 The car has not been registered since 2001 in Arizona and still wears its AZ tags, and as such has not been driven very much. 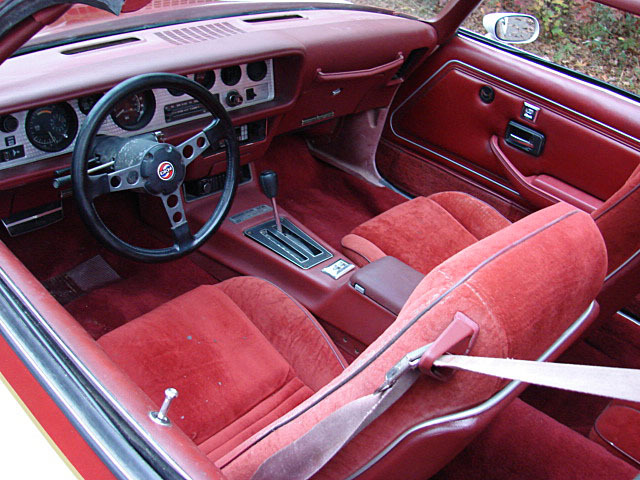 This does not seem to be an issue as the car is a blast to drive. 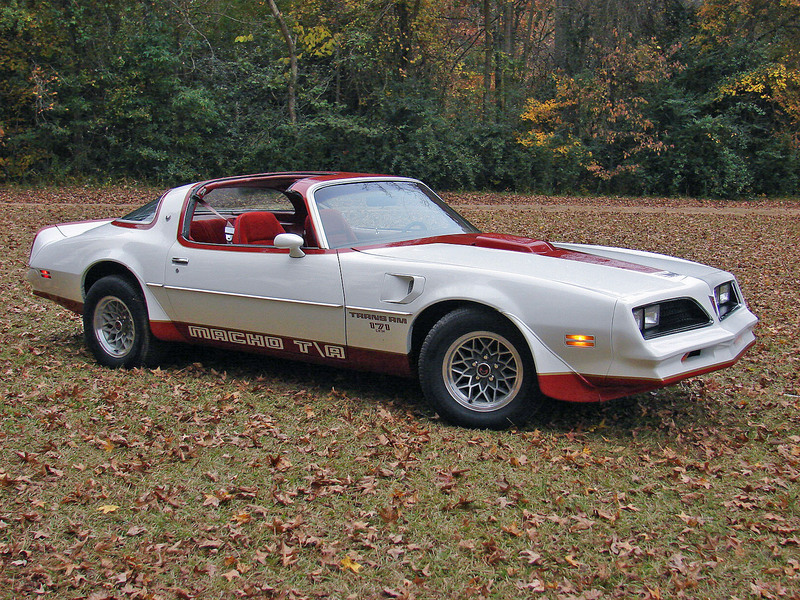 Macho TA's are the only 70's version of the now famous dealer tuner cars of the 60's, Yenko, Berger, Baldwin Motion, Nicki, Royal Bobcat, Mr Norm, ect. 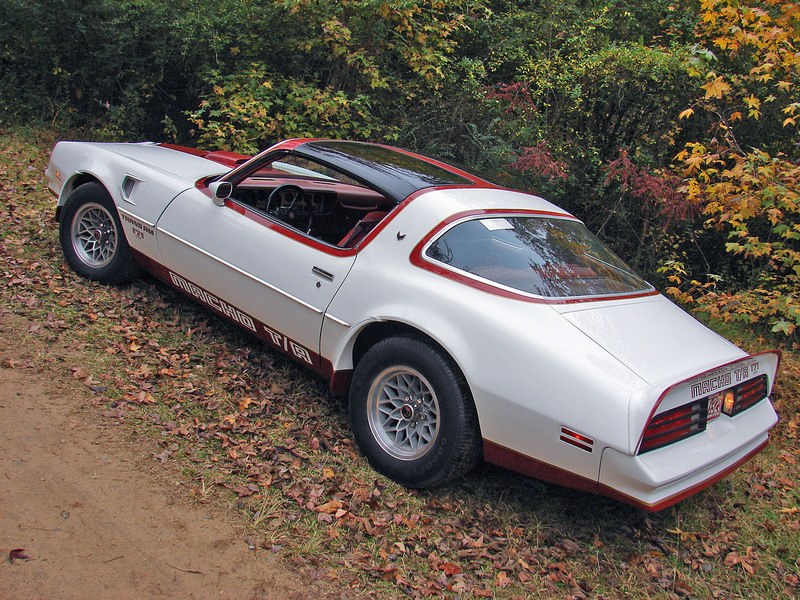 There were a few after the fact cars built that were not sold by mecham, they were customer cars done after the end of the production year. 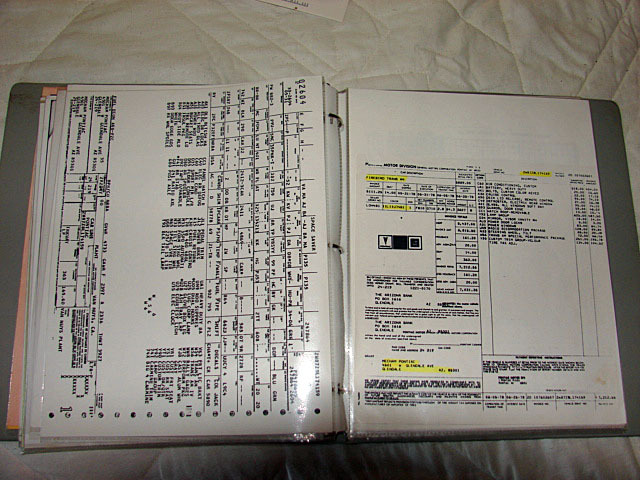 Examples are 78 # 203, 78# 204, and 79 #206. 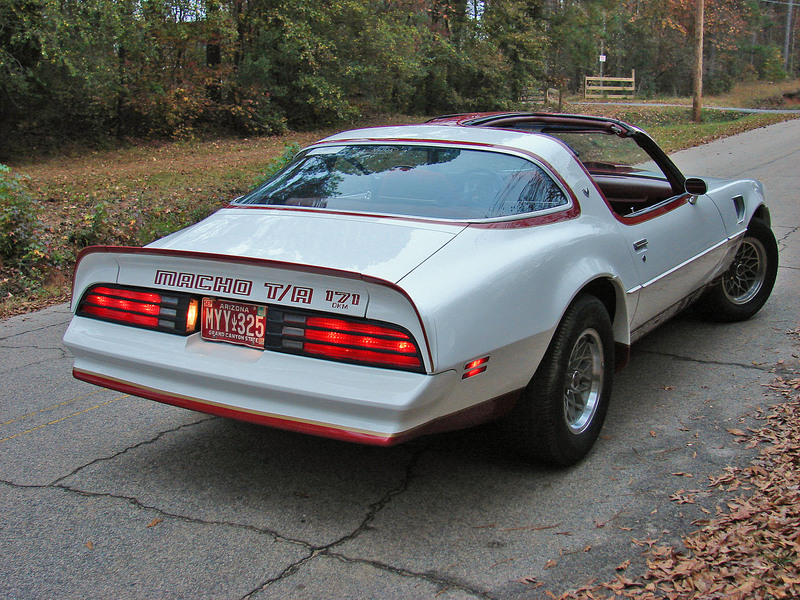 205 is out there somewhere, I am unsure if its a 78 or a 79, but it would seem to be a 79.
all images on this website are the property of allmusclecars.com and not to be used without express written permission.